There is a consensus on extending the sanctions among the 28 EU member-states, a high-ranking EU official told journalists. The European Union (EU) members share the view that the agreements reached at a European Council meeting in March tying the effect of sanctions against Russia to the full implementation of the Minsk Agreements on Ukraine remain valid, and therefore no debates on the matter are expected at an EU summit on December 17-18, a high-ranking EU official told journalists on condition of anonymity in Brussels on Dec. 16. 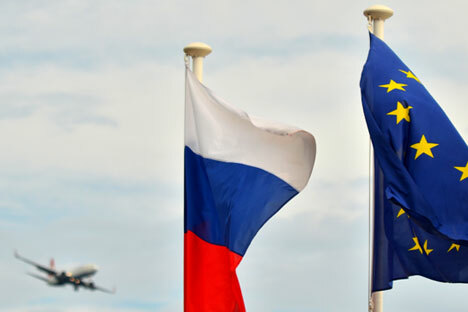 There is a consensus on extending the sanctions among the 28 EU member-states, the source said. European Council President Donald Tusk outlined his view on the procedure of extending the sanctions in an invitation letter to the European leaders, the source said. The Committee of Permanent Representatives (Coreper) has been instructed to consider the matter, which it is expected to do following the European Council meeting on Dec. 18 afternoon, the source said.